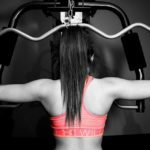 If you are suffering from a pinched nerve, bulging or damaged disc, a spinal injury, or a degenerative spinal condition, you know just how much of a struggle daily life can become. Lumbar spine issues can cause chronic pain, loss of sensation, weakness, and other symptoms that can reduce your quality of life. Before turning to surgery or prescription painkillers — both of which can lead to lifelong and serious consequences — consider the safer and natural solution that is flexion distraction therapy. 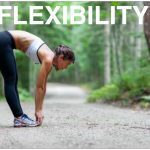 Flexion distraction is a common chiropractic technique that can be used to treat a variety of lumbar spine conditions. This non-surgical treatment is designed to improve spinal motion and correct disc herniation and bulging discs. Flexion distraction is a non-forceful procedure that helps relieve pressure off spinal nerves that may not be functioning correctly. The spine is comprised of vertebrae that are joined by small joints called facet joints. This structure allows the spine to move freely and support your weight. Between each pair of vertebrae are fluid-filled cartilage cushions called discs that work to absorb impact, protect the spine, maintain proper spacing between vertebrae, and prevent painful bone-on-bone friction. As you can imagine, many things can go wrong in this delicate system. A sports injury, long-term bad posture, or even a job that requires long hours of sitting can force vertebrae out of alignment. This instability can cause the disc between the vertebrae to bulge or herniate, a condition in which some of the softer material inside the disc is pushed through a crack in the harder exterior. When this bulging disc pushes on one of the nerve roots running through the spine, it can affect an entire network of nerves leading to another area of the body, such as the lower back, legs, or arms. This can result in pain, tingling, numbness, weakness, and other serious side effects. The flexion distraction technique works to relieve this pressure on the nerves and reduce compression of the discs to restore balance to the spinal structure. Flexion distraction is a hands-on, non-surgical manipulation of the spine that occurs while a patient lies on a specially designed chiropractic table. Flexion distraction, a technique first developed by Dr. James Cox, is based on the application of very small and precise amounts of flexion distraction to parts of the spine experiencing disc herniation or compression. During this form of therapy, the chiropractor will apply very gentle pressure to specific areas while using a table to simultaneously distract (or stretch) and flex the spine in a cyclic motion. As affected vertebrae are gently and carefully pulled back from each other, negative pressure draws the disc back into the correct position to relieve pain and nerve pressure while allowing nutrients to move back into the disc. Flexion distraction is a procedure that removes pain without causing additional discomfort. Most people find the experience very comfortable and relaxing without any pain. Because this technique uses a non-forceful and gentle approach, it’s often recommended for patients recovering from surgery and those in rehabilitation because it does not subject patients to increased pain. It is also appropriate for patients with arthritis as the movements are slow and repetitive without force or unnecessary pressure. Patients with osteoporosis, arthritis, and other degenerative conditions who require a lighter touch can be a good candidate for flexion distraction. Lumbar flexion distraction has been clinically proven to widen the spinal canal, reduce pressure on nerves, restore range of motion to spinal joints, and reduce pressure inside spinal discs. 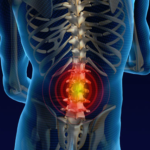 This technique has been studied extensively in the treatment of a variety of conditions, including lumbar spinal stenosis which found a significant reduction in pain. If your doctor has told you you may need back surgery or surgery has failed, flexion distraction is a safe and conservative approach that can help with the pain of disc injuries, back injuries, and more. If you are struggling with back, neck, or leg pain, flexion distraction may offer immediate relief and help address the cause of your pain. Contact ChiroFit today to schedule an appointment and learn more about how flexion distraction therapy can help you.